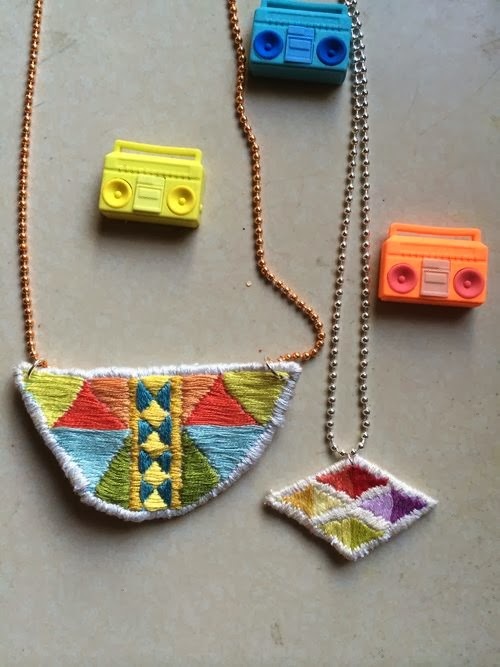 Two Necklace Workshops - Macrame and Embroidered! We are just pleased as punch to offer two fun necklace classes from two of our very favorite crafty ladies! 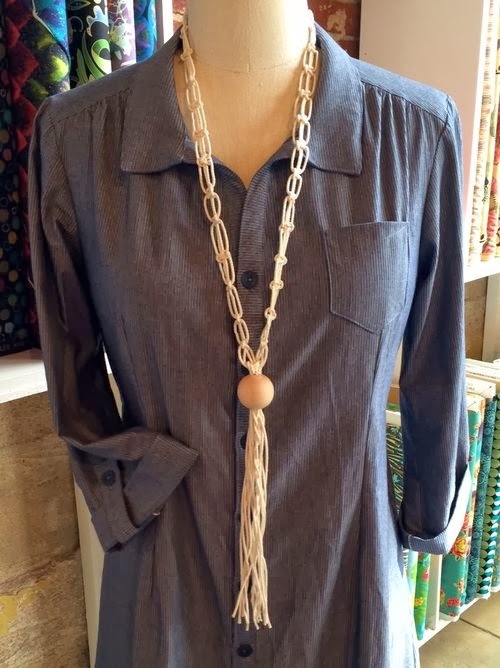 Cathy Callahan is one of our local crew, although she's famous world-over for her teaching, writing and jewelry designs. 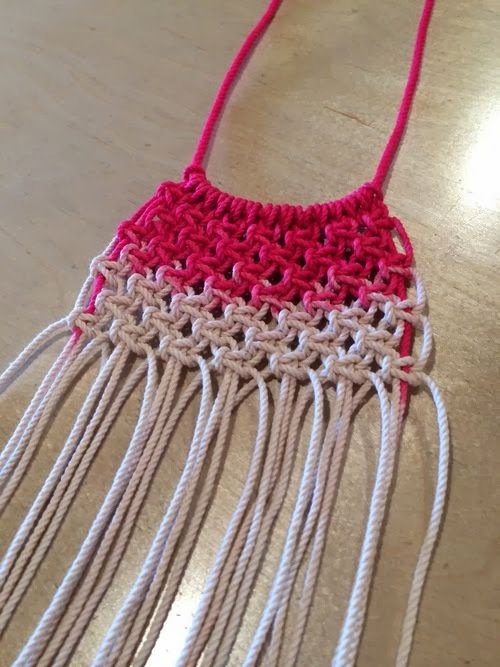 She is heading up a macrame necklace workshop on January 31 - and as an added bonus she's hand-dying the rope you'll be using in class and you can choose from a pink or blue ombre. AND you'll get to take home a practice necklace too. Check out Cathy's blog to see some of the loveliness! Cathy's class can be found here. Lisa Solomon is a Bay Area artist who has guest-taught here at Sew L.A. before - her workshop last year was all about transferring images and adding embroidered touches. 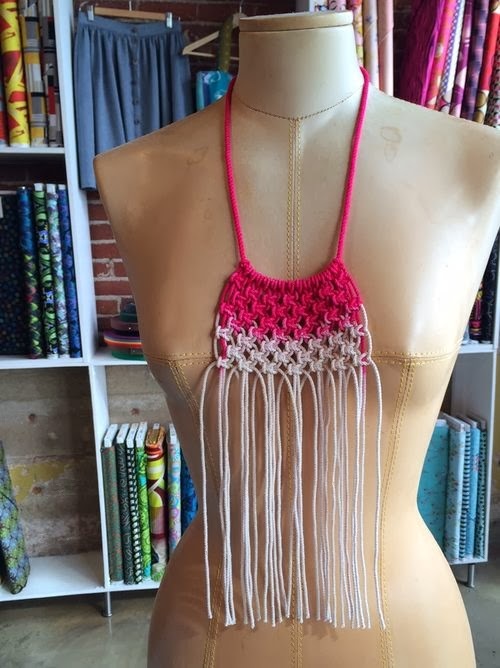 This year, she's going to show students how to design and embroider their own necklace from start to finish. Lisa will be joining us on Saturday Feb. 22nd. You can see some of her work on her website! Lisa's class can be found here.